We help low-income families and individuals by providing affordable, stable housing and individualized case management that will help them address structural barriers to long-term housing like poor credit histories, itinerant rental histories, little or no savings, and low incomes. If you are interested in participating in our ABC program, please answer the questions below and if applicable, complete the application. Please note that this application will determine your qualification for the program. If yes: Do you meet the income requirements below? * Unit size is based on number of people who will be living in the household, per HUD occupancy standards. 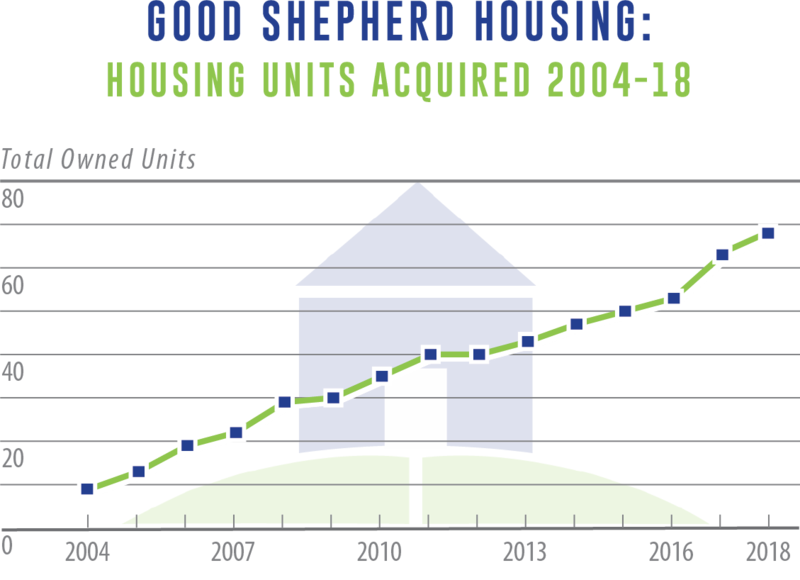 ** Unit range may vary depending if unit is owned or leased by Good Shepherd Housing. The range also varies depending on if utilities are included. If no: You must have a Housing Choice Voucher or other type of rental voucher to meet program eligibility. If you meet the income requirements listed above, or from earned income, a housing or rental voucher, or both, continue to fill out the form below. All properties are located within Fairfax County in the Alexandria, VA area. If you do not meet our program requirements, please contact the Fairfax County Coordinated Services Planning (CSP) office at (703) 222-0880 for information and referrals to other public and private human services available to Fairfax County residents. Please click the button below to fill out the application for the ABC Housing Program. Can Housing Supply Meet Demand?